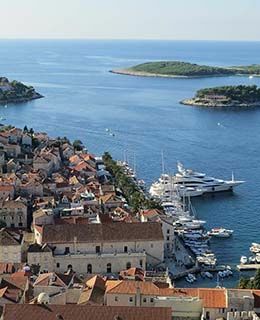 Over 1,000 sparsely populated islands off the Dalmatian coast form one of the most beautiful archipelagos in the world, a boating paradise of turquoise waters and safe harbours. 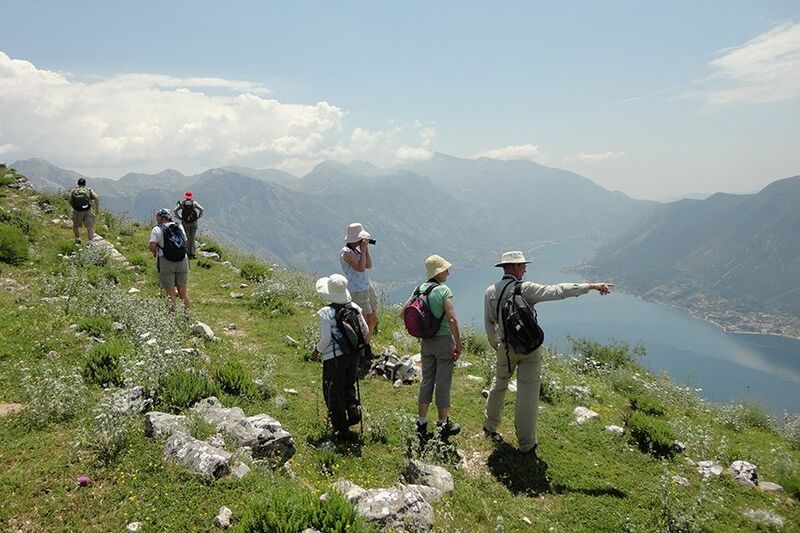 With an appealing heritage of Venetian architecture and a strongly Italian influenced cuisine and wine-making tradition, Croatia’s scenic national parks and Roman archaeological sites provide shore visits and seaborne delight. We have chartered a fully crewed and equipped yacht for our explorations - 30 m/100 ft overall, with 6 double/twin cabins for guests, all with modern en suite facilities. There are plenty of opportunities to swim in quiet coves and explore ashore on foot each day. 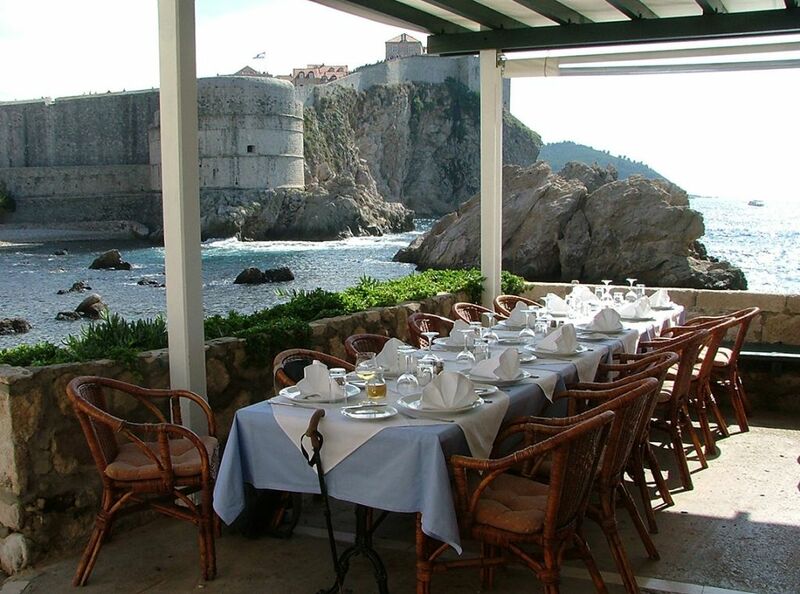 A particular highlight is a visit to the walled mediaeval city of Dubrovnik. After meeting at Dubrovnik airport in the early afternoon, a short road transfer along the coast brings us to Trsteno where we visit the fine Renaissance gardens. Continuing to Mali Ston, we settle into our boutique hotel, a recently converted 16th century Venetian mansion on the waterfront, before enjoying our first dinner together: fresh seafood accompanied by a crisp Croatian white wine in a famous local restaurant. Travelling the ‘magistrala’, the former Roman coastal road north, we arrive in Split and stroll, as Roman dignitaries once did, on the Riva, the waterfront before the Emperor Diocletian's magnificent 4th century Palace. We explore the archaeological complex and the cathedral, an extraordinary 7th century conversion of the imperial mausoleum, before boarding our yacht and meeting our captain and crew. 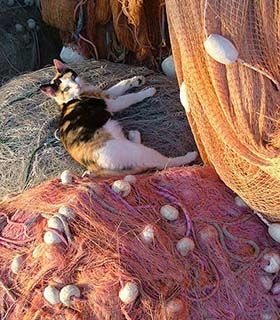 We set sail for the island of Brač, pausing to swim from the boat en route, then moor and go for a stroll in the unspoilt, picturesque 17th century fishing village of Milna, once capital of a Russian protectorate during the Napoleonic wars. 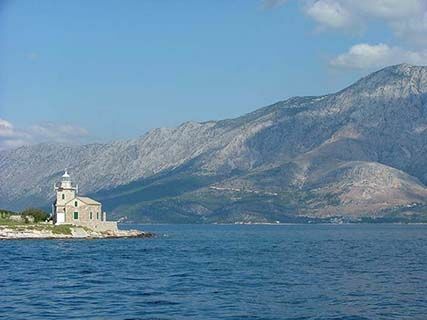 After a leisurely start and breakfast on deck, we sail around the northern coast of Brač, famed for its lustrous white limestone used to build both Liverpool Cathedral and Washington’s White House. We swim, sunbathe and enjoy the endlessly changing views of islands and mountains en route to the mountainous island of Vis, a base for co-ordinating partisan operations during WWII and off-limits for visitors until 1989. We dine ashore in the fishing village of Komiža, accompanying our meal with local wines such as the powerful, spicy, red ‘Plavac Mali’. On the nearby small islet of Biševo, we use the ship’s tender to visit the well-known Blue Grotto before sailing south to the island of Hvar, mooring to swim from a sandy beach and walk through stone pines on a small island en route. 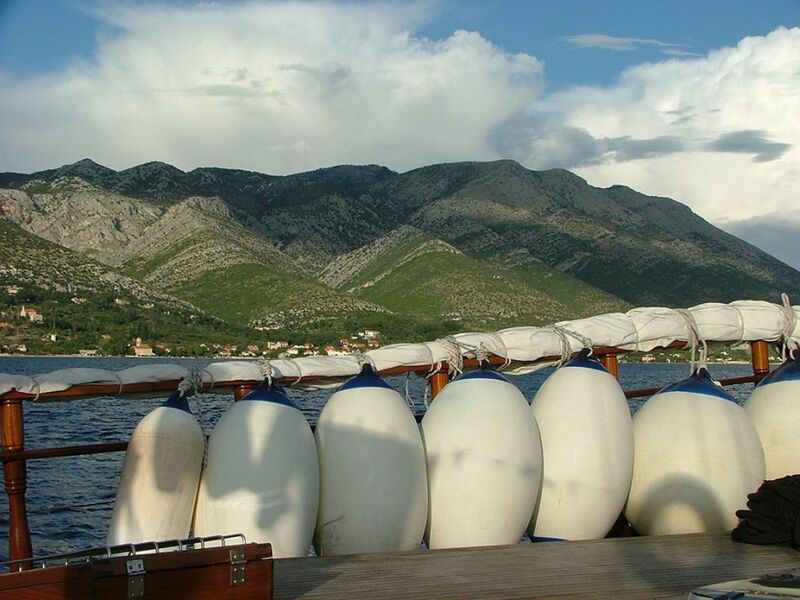 We go ashore by tender to join fashionable Croatians in the Korzo (evening promenade) along the palm tree–lined harbour before a lobster dinner in an excellent local restaurant. 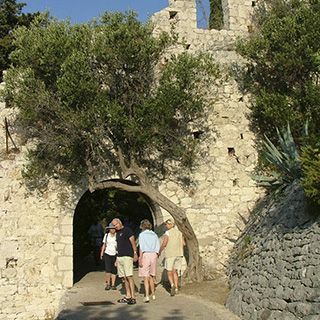 We spend the morning on a guided walking tour of Hvar, discovering the 17th century Venetian Arsenal, which was converted into one of Europe’s earliest theatres in 1612, the many churches and monasteries and excellent views from the hilltop Citadel. 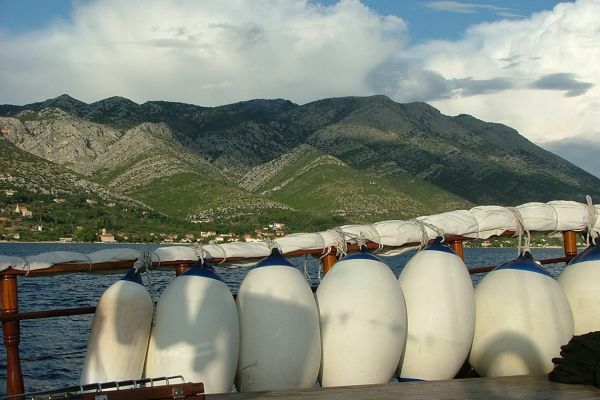 Setting sail by lunchtime, we travel along the coast of the island of Korčula, seeing fields of lavender and olive and fig trees. 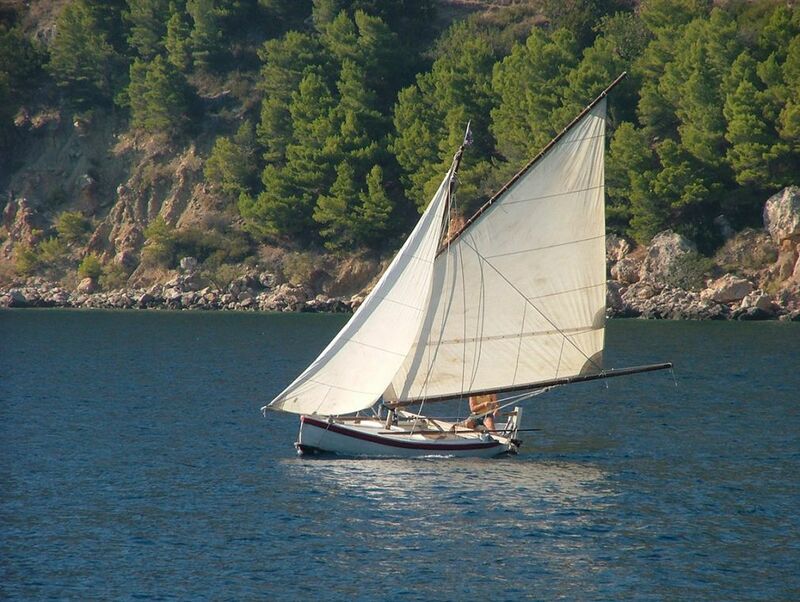 We moor in the harbour beside Korčula’s defensive walls, built by the Venetians over almost eight centuries ago. One of their most famous subjects, Marco Polo, was allegedly born here. Balkan specialities feature at dinner: pršut (prosciutto), spicy lamb stew with aubergines and peppers and walnut and honey cakes. We spend the morning ashore, exploring Korčula. 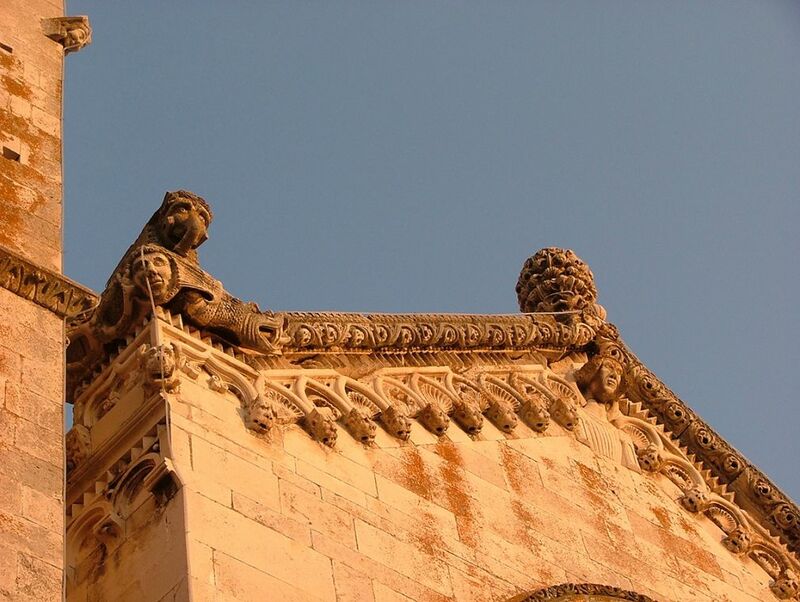 The compact historic town is a delight, full of architectural treasures, an excellent art collection including works by Tiepolo, Carpaccio, Tintoretto and Bassano, the beautiful 13th century Cathedral of St Mark, and many outdoor cafes for a glass of wine or ‘an ice cream with a view’. Sailing south, we reach the island of Mljet, where St. Paul once ran aground and many of Dubrovnik’s admirals built summer houses. We spend the afternoon walking in the forested national park (mainly Aleppo and stone pines), seeing swathes of cyclamens in the olive groves. 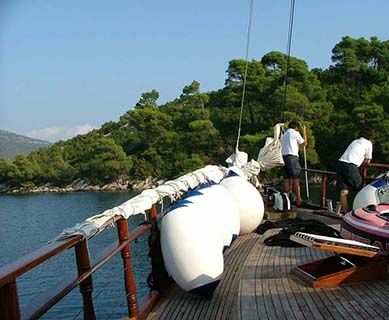 Sailing from Mljet island after breakfast, we enter the dramatic channel of Ston, framed by steep karst mountains, and moor beside a rustic tavern, accessible only by sea. A 2 hour walk through the hills gives us good appetites for a lunch of freshly caught fish grilled on charcoal, accompanied by jugs of wine from the vineyards behind the tavern. Continuing south, our destination is Šipan, largest of the inhabited Elaphite islands, where we go ashore for a stroll to see the ruined 15th century mansions of the Dubrovnik aristocracy. We moor in a quiet cove off the island of Lopud for a final opportunity to swim from a sandy beach and have lunch on deck. Approaching Dubrovnik, we pass beneath the splendid new Dubrovnik suspension bridge to moor in the marina. 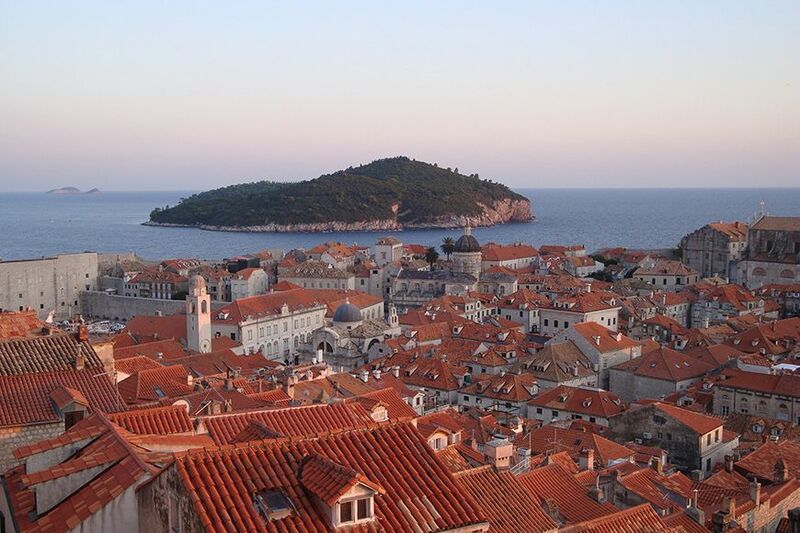 In the early afternoon, taxis take us into Dubrovnik, for centuries a great trading Republic and major centre for the arts and science, and now a beautifully restored mediaeval city. We take an introductory stroll along the 12th century Stradun, then disperse through the polished white marble streets for individual explorations. 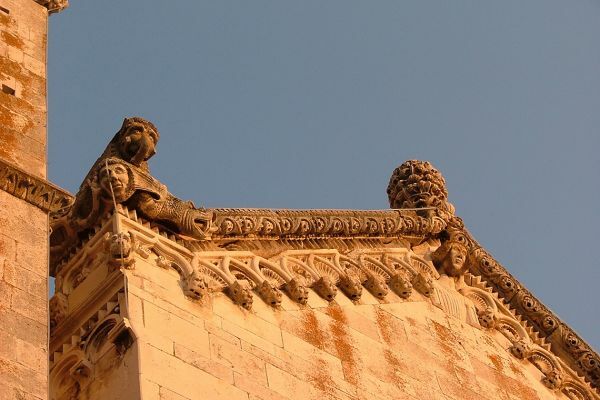 Highlights include the 15th century Rector’s Palace; the Maritime Museum; the superb manuscript collection in the Sponza Palace; the Dominican monastery with its orange and palm tree-filled Renaissance cloisters; and the richly embellished Baroque church of St Blaise, the city’s patron. 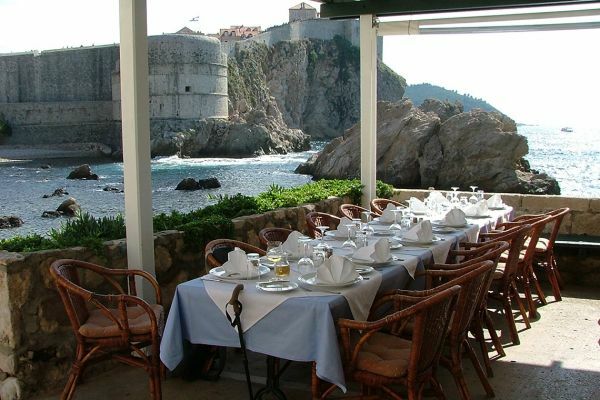 Our farewell dinner is in one of Dubrovnik’s most innovative restaurants. Bidding farewell to our ship’s crew, we disembark after breakfast on deck and return to Dubrovnik to circumnavigate the 2 km mediaeval city walls on foot. Our journey concludes with a private transfer to the nearby airport for flights home. 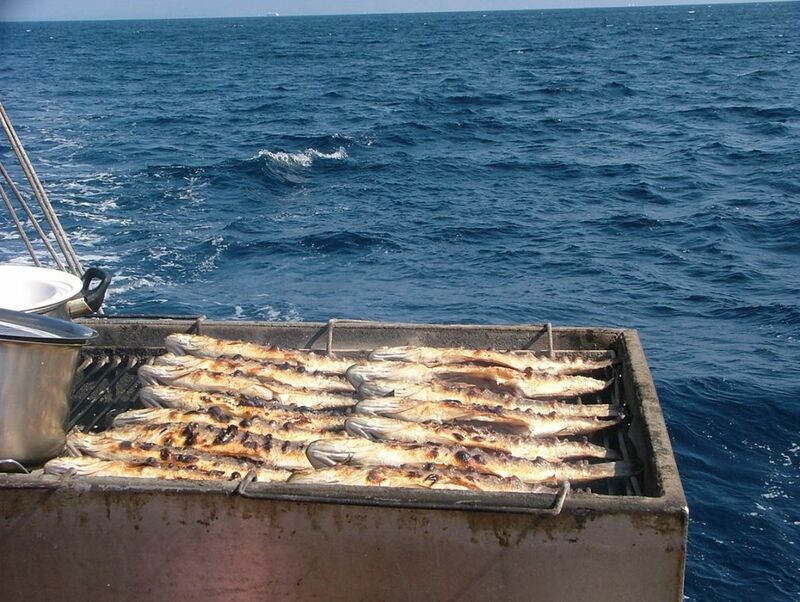 The published itinerary is subject to alteration if weather and sea conditions make it necessary. The captain’s decision as to the most appropriate routing for the safety and comfort of the yacht, guests and crew is at all times definitive. 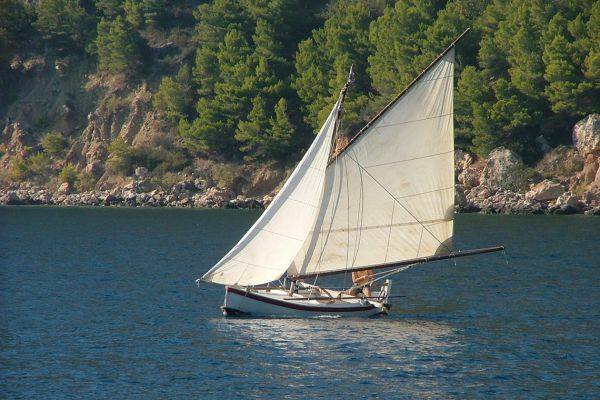 Please note that most of the time the boat is under motor rather than sail and this is not a sailing trip as such, rather a stylish way to visit various islands by boat. Please note that the availability of single use cabins is strictly limited (2 only). If you are willing to share but no other suitable guest books on the trip, we regret that the supplement will be payable. Visitors from the EU, Australia, New Zealand, Canada and USA currently require a valid passport, but not a visa, for entry to Croatia. If you are a national of any other country, please check visa regulations with your nearest Embassy of Croatia. 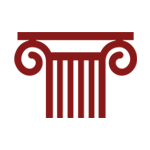 At present, there are no specific and compulsory health requirements for entry to Croatia. You may also wish to check the advice given to travellers by the Department of Health and the FCO. 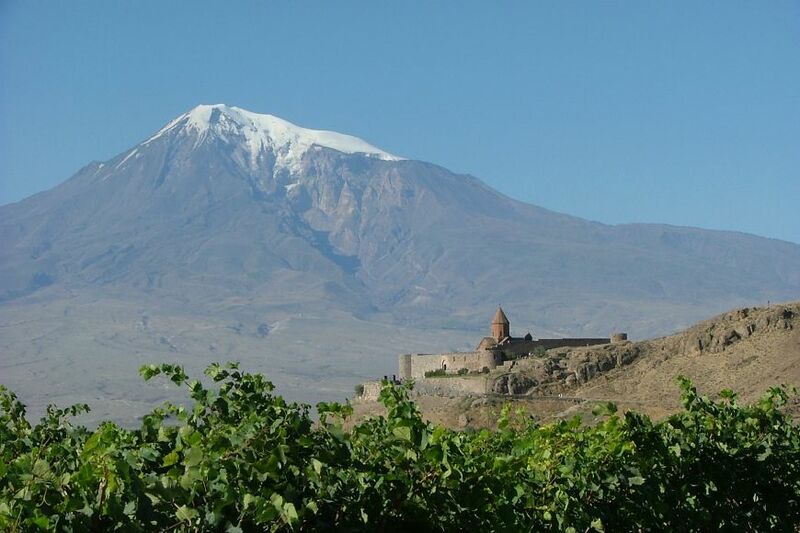 This trip will run with a minimum of 6 and a maximum of 10 guests. Short walks ashore every day on stony paths, uneven pavements and many steps. 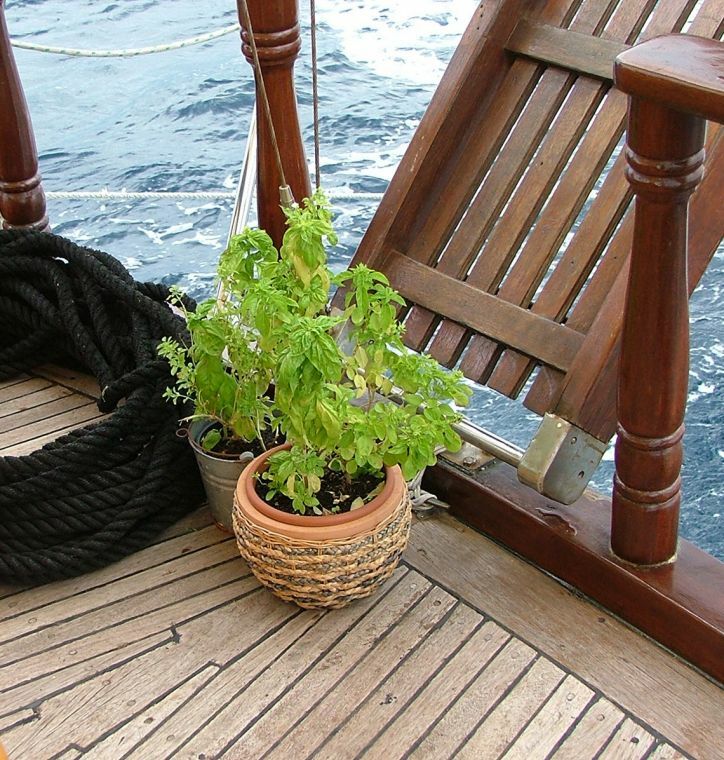 Ability to swim essential (for insurance purposes) – also, a good sense of balance for using the yacht’s gangplank. The yacht has snorkelling gear (optional). 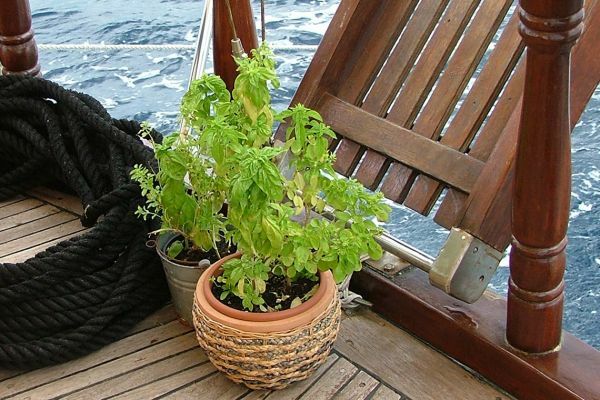 Late September and early October are considered amongst the best months for sailing in the Adriatic with an average daily high temperature of 24°C and cooler evenings. 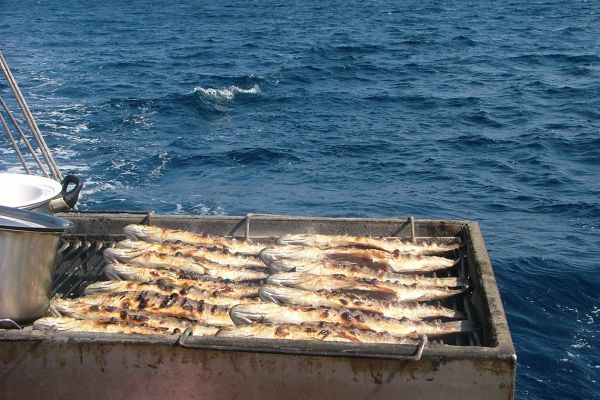 The sea temperature is normally between 20 and 23°C.